This article was published by CNBC on the Leadership Insights section, 18th of Feb, it can be found here. This post is the original unabridged version submitted to editors at CNBC. Special thanks to Anthony Volastro, CNBC editor, for making a curated, digestible and truly appealing version for a broader audience. Id, ego and super-ego, ultimately the underlying topic of this article, are explained here (Wikipedia). 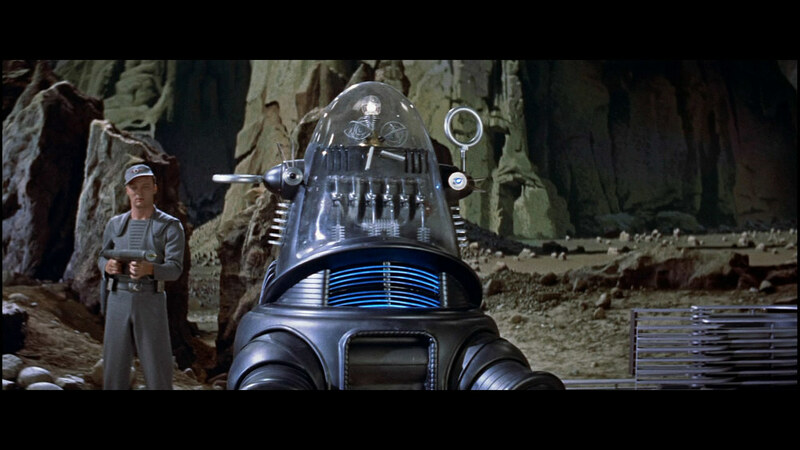 Forbidden Planet is one of the greatest Sci-Fi films of the 50’s. This movie depicted a military crew travelling in a starship of human creation for the first time. The plot of the story develops on a far distance planet where the characters fight invisible monsters of extraordinary power. For those of you of a certain age, you may recall a frightening 7-foot tall Robby the Robot, this is his movie. The mysterious creature could hardly be detected. It appeared out of the blue, unexpectedly, striking violently into the visitor’s spacecraft and murdered the Chief of Engineering and other two crew members. 23rd century’s weapons proved to be useless to contain it, however, the invisible killing monster, filled with anger, was purpose driven and seemed to follow the hidden agenda of a human scientist stranded with his family in the remote planet long time ago. As the story unfolds and visitors uncover the planet’s secrets hidden under the surface, they found an incredibly advanced technology from an ancient and extinct native race. A technology capable of enhancing human intellectual abilities beyond belief, which, the scientist, had used on himself. Ultimately, the killing monster was nothing else than an extension of the scientist’s own mind, an unconscious manifestation of his own fears in the physical world, his own ‘evil-self’. This is the same phenomenon we see in corporations, small and medium companies and Start-ups. As the company evolves, founders accumulate power to a point they unconsciously create harmful dynamics, hindering the capacity of the company to grow, enter next stages or transform. This is known as the Founder’s trap. Leadership, now more than ever, is much more than defining strategy, supervising management or even achieving outstanding results. In today´s brave new world, with corporate lifespan shortening, faster commoditization of products, jobs transitioning into 'on demand' services and a 'transparent by default' governance, leaders and CEOs in particular need to master the art of foreseeing and anticipating the future. They need to be fortunetellers. And, in the corporate lifecycle, the Founder’s trap is a Business Extinction Event they have to confront inevitably. Founders with C-level roles must anticipate the moment when their companies will outgrow them, plan accordingly, and be prepared to release control and power for the greater benefit of the corporation. The two skills of choice to master this process are envisioning and self-awareness. In other words, present and future leaders have to be first and foremost, fortunetellers, they also should know themselves profoundly. There is actually a third related, de-facto mandatory skill these days, very much hyped, which helps leaders navigate through the complexities pre and post Founder’s trap: the art of storytelling. For a leader or a CEO, much interaction is required with a pleiad of divergent stakeholders: investors, shareholders, management, employees, customers, suppliers/partners & the public eye. To deal with this bizarre ambiguity and manage everybody’s expectations, leaders need to adapt their speech accordingly, and convey a meaningful story for each and every audience (or a combination of audiences eventually). A one-size-fits-all message does not do the job any more. If you are a successful CEO, delivering a compelling vision to your stakeholders, you have consciously or unconsciously created a set of expectations which will vary depending on the recipients. Beyond vision storytelling, is equally important to land those expectations and match them towards the perceived reality. If the gap from expectations to reality is too big, be prepared to fork over another credible story to make sense out of what’s happening. Empathy and credibility combined with your ability to articulate a narrative around the necessary changes will make up for it. It is a continuous process of re-building expectations (and generating hope) by storytelling. A perfect example of the latest are Google founders’ open letters. This one from a couple of years ago is a masterpiece that literally teleports the reader to an utopic self-driven cars future. Back now to our topic, leadership and fortunetelling require a deep understanding of where things stand. A fortuneteller in real life would look at us (the customer) to get a glimpse of our age, marital status, physical condition, emotional status, etc, and will use all this data to build their story. In the corporate world we call it Fact Based management, decisions are based on evidence and proper due diligence on current state of affairs. This forms the basis for educated predictions. Not everything is obvious though, there’s always more than meets the eye. Prominent fortunetellers and outstanding leaders read well beyond reports and financial spreadsheets. In the same way a fortuneteller would look at your watch and your clothes to estimate your income level, using Sherlock Holmes' science of deduction (otherwise known as reverse engineering) will render vital metadata to predict future scenarios. How do we figure out when the founder’s trap event will happen? Not that difficult, just have a look at co-founders, profile them by current role, interests and motivation, extrapolate these variables in time (age), and match them towards company needs. Will they (founders) in future keep same commitment and dedication?, and, more importantly, what will the company require from them at a later stage?. Those gaps trigger the founder’s trap crisis, timing can be discussed, the event itself can’t be avoided. So now we have another definition of the founder’s trap, a point in time where company needs pass founders’ ability to deliver. A crossroad where founders’ weaknesses meet loss aversion. Utterly, loss aversion, an irrational fear to lose control is what triggers an early decline of a company. Founders and entrepreneurs, are risk takers by definition but, in a risk scale, the founders’ trap is like ‘the Skyscraper’ of all rollercoasters. Committing to a succession plan, rolling out stock options, releasing equity to management and with that, authority, letting others lead and inspire your team in their own way, be replaced in the headlines and interviews, i.e. taking a backseat when you have been the driver for so long, this is arguably the most difficult choice for a founder or an entrepreneur. Reaching this point is when founders come to a test of truth, what do we want our company to be? What is required to get there? Are we (the founders) the right individuals to make it happen? What is what we, founders, want for ourselves?. To transition successfully, founders need to refresh their initial commitments starting by revisiting their individual interests, and align those to the interest of the company considering it as a separate entity. And this is precisely where self-awareness becomes essential, understanding where you are as a leader, what are your limitations and your true inner motivations. It is imperative for founders to detach themselves from their company, embracing it as an independent entity with its own needs and demands to grow and prosper. In a way, is like parents letting your child go to college. You may be terrified, but you know also this is the right thing to do for them (and not for you). What happens when founders are not able to release control of their company? The invisible killing monster is released, fed by the unconscious ‘evil-selves’ of the founders, and he destroys gradually everything in his path. Founders tend to protect their parcels of control and finally retreat to their comfort zones, limiting the ability of the company to grow and embrace new initiatives. Talent is lost as there are no proper long term retention mechanisms. People and management lose faith in the company. With time, a zero-risk policy becomes the default decision making criteria, the CFO takes over the reins. Your company has gone through maturity earlier than it should and all of a sudden, one day, faces rapid decline. All you have been so hard fighting for is now lost. This self-fulfilling prophecy scenario is more often seen in new start ups and family businesses, but happens also at later stages, even in public companies when owners refuse to step out of management roles. Self-awareness is about being humble enough to admit you may not be the right individual to run your own company any longer, and with that, comes the jump of faith, the need to trust others to take on what you have built. This open letter to employees by former Groupon’s CEO, exiting the company, is a very illustrative example of humble leadership (a matter of debate though if it happened at right timing). Your ability to foresee the founder’s trap event and align your partners, shareholders and company’s interests for a successful transition relies on your own self-awareness and fortuneteller skillset. Getting there and navigating through it successfully depends on your storytelling competencies. by Ed Fernandez - @efernandez - Corporate advisor, VC practitioner, Start Up investor and a member of the CNBC-YPO Chief Executive Network. His professional LinkedIn profile is available here.